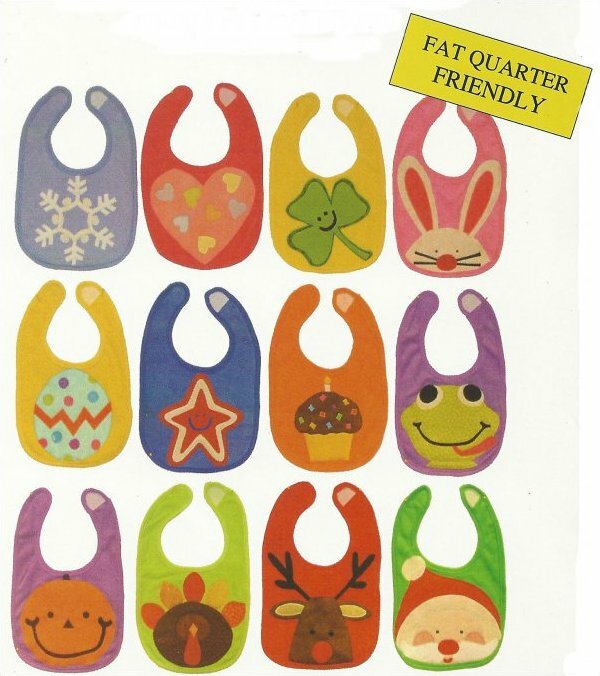 Baby will look so cute in these adorable bibs. So fast and easy you will want to make them all. Pattern includes all twelve designs.